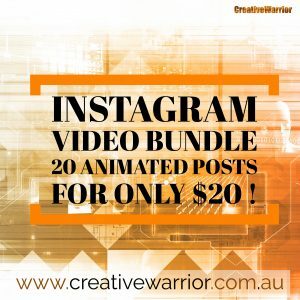 This package includes 20 personalised Instagram posts that comprise of short animated videos to catch the attention of your followers and enhance the look of your social feed! We CUSTOM DESIGN these videos by including your branding, logo, colour scheme, specific wording or images relevant to your business… Want to make it even easier? Simply supply the wording and we will do the rest based on the style of your current social media look and feel! Once you purchase we will contact you to gather all your information so that we can start the project. We allow up to 3 revisions on each video and also include still images of each item. If you have any questions please contact us anytime. And yes these videos can also be used on Facebook. You can watch the preview video below as an example… and as a BONUS we will also include the premade package as well as your custom made designs… that’s a total of 40 videos!!! 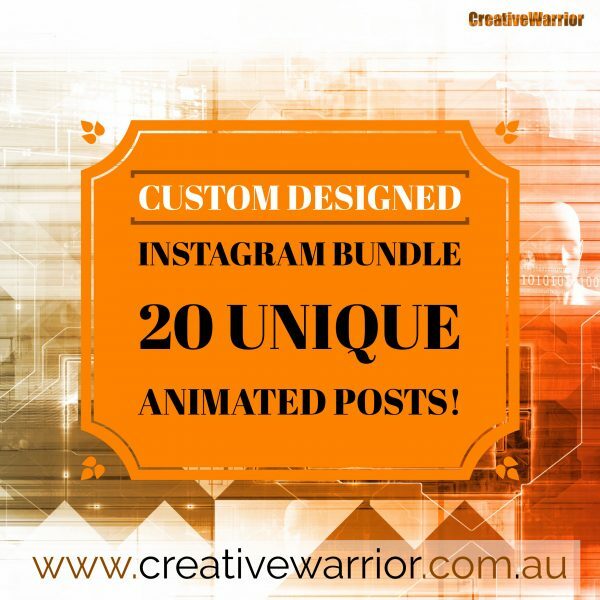 When you purchase you will get a downloadable zip file containing all 20 individual videos without the watermark as well as static images of each one and we will contact you to request logos and wording for your custom made package which also totals 20 videos and images. 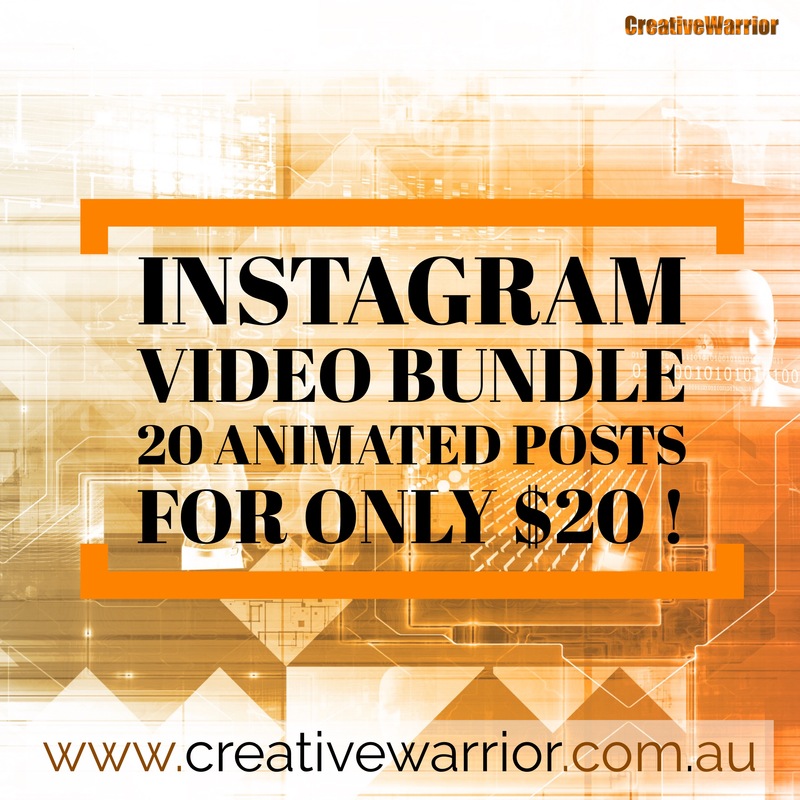 Here is a preview of a sample Instagram Video Package – it shows some of the possibilities that are available in your custom made video package. Choose your wording for each video and we will design the graphics and layout. Up to 3 revisions allowed per video to get it just right for you. As a BONUS we will also include this premade package along with your custom made designs… that’s a total of 40 videos!!! This is a digital product and will be available for download after you purchase and can also be downloaded from within your account.